Situated in the engrossing settings of Neil Island in Andaman, Pearl Park Beach Resort is set between the emerald hills of Neil Island and the azure sea. The resort is the insignia of comfortable stay near the stunning landscape blessed with sea, sand and sun. The cottages in this resort are edified in Andamanese style. The rooms in the resort are extremely comfortable and meticulously designed. In addition to this, for the travelers looking to get engaged in some exhilarating activities, Pearl Park Beach Resort offers speedboat and snorkeling facilities. This comfy accommodation option in Neil Island is designed with elegance and ensures its guests a relaxed stay in the midst of salubrious environs. There are 30 spacious and comfortable rooms in the resort are designed in the way to offer a relaxing stay to guests. These rooms are further sub-divided into categories including Mini, Cottage Non-A/C, Standard Non-A/C Cottage, Nicobari Non-A/C Cottage, Standard A/C Cottage and Deluxe Cottage A/C. 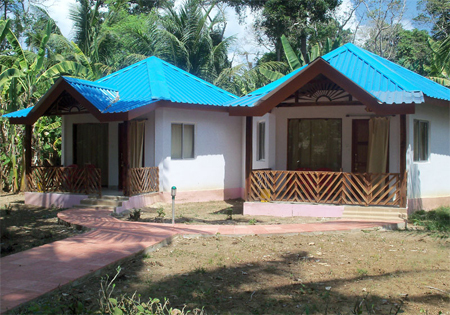 Pearl Park Beach Resort is situated on Lakshmanpur Beach of Neil Island, South Andaman. The beautiful Sitapur Beach is located just 6 kilometers away from the resort. Other exquisite beaches situated near Pearl Park Beach Resort are Radhanagar Beach and Kalapathar Beach.